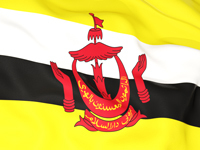 This International School in Brunei is a highly respected school that has an exciting opportunity to build on the achievements of a very successful and Primary Department. The school would like to appoint a Teacher of Primary to join them in September 2019. The role is for committed and motivated professionals who would like to work in a school that provides a wealth of opportunities for both its students and staff, along with wanting to be part of a family friendly, team based workforce. This post would be suitable for outstanding NQTs or experienced teachers looking for leadership responsibilities across the school. Come and join their dedicated team of professionals who are always willing to support new staff in the best interests of their students. The school continually evolves in their drive for excellence; They aspire to provide Outstanding Care, Outstanding Education and Outstanding Opportunities. New opportunities, including career progression, are actively sought for all staff across the school. The school has high expectations and high aspirations for all and their vision is one of academic excellence in a supportive and caring environment.